When you look at the grandparents in your church, what do you see? My guess is that you see some pursuing travel and leisure with vigor, others heavily involved in child care for their grandchildren, and others on the sidelines because their grandchildren live far away. Of these, how many do you think have a clear vision of their spiritual calling as grandparents? There are roughly thirty million Christian grandparents in this country,1 yet I have found that very few can articulate the unique spiritual role God has called them to fulfill in the lives of their children and grandchildren. Meanwhile, the needs and opportunities are great. Several years ago George Barna asked six hundred teenagers to name the most significant spiritual influencers in their lives.2 Number one was parents; number two was other family members, most typically grandparents. Grandparents have the potential to have a very significant influence in a grandchild’s life spiritually. As a pastor to young people, I feel it is strategic to invest time and energy in helping grandparents spiritually influence children’s lives. I want to encourage your church to equip grandparents to invest in children. What does God expect of a grandparent? In one sentence, I’d say a grandparent’s job is to pass on a rich heritage of faith in Christ to their grandchildren. Scripture uses the word heritage to express the idea of passing on an inheritance, the legacy you give your grandchildren. But it’s not just a financial or family history heritage. It’s the heritage of the Lord, primarily focused on Christ. Grandparenting is discipleship. Grandparents are disciple-makers not only of their grandchildren, but also of their adult children, who are the grandchildren’s primary disciple-makers. If grandparents embrace this, they can have a greater impact in the lives of their grandchildren than they may realize. How does Scripture lay out God’s vision for grandparents? Deuteronomy 4:9 says, “Only take care, and keep your soul diligently, lest you forget the things that your eyes have seen, and lest they depart from your heart all the days of your life. Make them known to your children and your children’s children” (ESV). 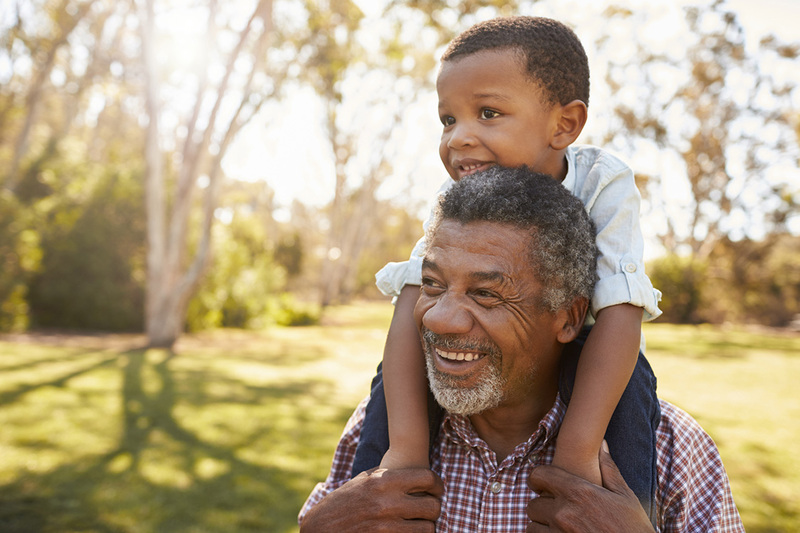 Grandparents must first deal with their own walk with the Lord, keeping their soul diligently—a good warning for grandparents to keep track of their own spiritual health. Then grandparents are to teach God’s Word to their children’s children. Passages like Deuteronomy 6:2 urge the same thing, so “that you may fear the LORD your God, you and your son and your son’s son” (ESV). Psalm 78 talks very specifically about the grandparents’ role in telling the works of God: “[God] established a testimony in Jacob and appointed a law in Israel, which he commanded our fathers to teach to their children, that the next generation might know them, the children yet unborn, and arise and tell them to their children, so that they should set their hope in God …” (vv. 5–7a ESV). Every believing grandparent has a testimony of how God has worked in his or her life. Every believing grandparent has a testimony of how God has worked in his or her life. A grandparent is able to say, “Let me paint this picture of a great God, who has done amazing things in my life. Here’s how I came to faith, here’s how God provided, and here’s how God was faithful.” When grandparents can point to the greatness of God through their own life experience, it is powerful for grandkids. That’s how God wants grandparents to use story—not to embellish their own life’s successes, but to paint a wonderful picture of who God is. Why don’t more grandparents have this vision? A big part of the problem is our culture, which undervalues and marginalizes grandparents (and all older people). Stay out of the way! Our culture tells grandparents that they’re to live a life independent from their adult children and grandchildren, and that they should not interfere, they shouldn’t meddle, they should not be a burden, and they basically should come into the family only when they’re invited. That has pushed grandparents out of any central role in the family, out to the periphery. If you hear that enough times for long enough, you start undervaluing yourself. Most Christian grandparents have absorbed culture’s messages and aren’t able to differentiate that from what the Bible says about their calling. Many feel like their adult children and grandchildren may not want them around much. They have no clear vision for what they might do. Pastors, it is never a waste of time to teach the biblical role of a grandparent. Grandparents need to know they are needed, and they do matter! Travel and play! The second message that society communicates to grandparents is one of indulgence, the idea that you have worked hard, you’ve done your time, so it’s time to rest, travel, and play. That has led to grandparents living out that role with their children and grandchildren. They relate to grandchildren as companions and playmates—spoiling grandkids and sending them home. I’m not suggesting that it’s not good to have fun with grandchildren, but that’s not the end goal. The Bible gives a lot of instruction to grandparents about what they pass down orally to their family. As Americans, we like to say that more is caught than taught, but I don’t think that is true. I think it’s both caught and taught, and a lot of grandparents have silenced their mouths to the spiritual detriment of their family. God places expectations on grandparents to teach the Word of God (teaching) and to exalt the Son of God (testimony); that’s really the core of it all. If grandparents do those two things, good results usually come about. On the other hand, if grandparents buy into the idea that they need to live a separate existence, what it delivers is lonely families, lonely grandparents, and overburdened adult children. Parents are raising their kids on their own, and grandparents are frustrated that their adult children don’t have more time for them and don’t communicate more regularly. It’s not because both generations want that. Grandparents and adult children simply have to recognize that this isn’t what God has designed. My generation (I’m thirty-nine) and those younger than I am have experienced the results of this cultural message. There have been so many broken families and dysfunctional homes that there is a very big change under way in the value that millennials place on family. They value grandparents and older individuals. They want those relationships, that mentoring. This validates what the Bible teaches, recognizing the God-designed value that a grandparent has. How can churches equip and encourage grandparents for family ministry? There are small things that churches can do. If you’re the pastor, mention grandparents in your sermons or add a particular illustration that recognizes those in that phase of life. In our church’s adult Sunday school classes, I have asked one person in each class that includes grandparents to keep grandparenting in front of the class and to pray for the grandparents. 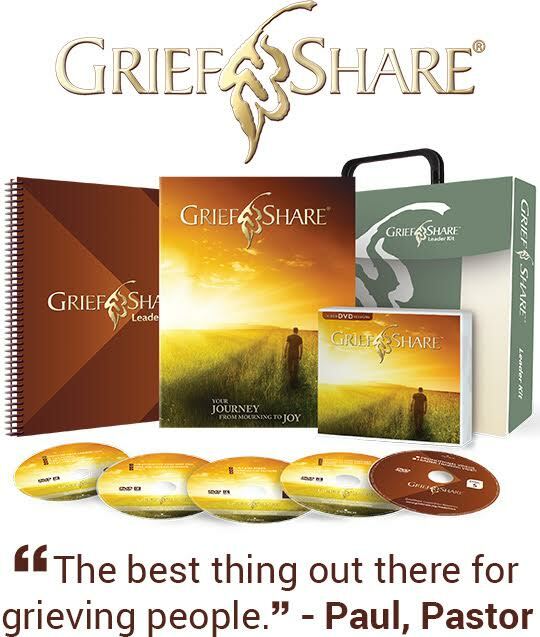 There are a lot of prodigal adult children and grandchildren, so there’s a lot of hurt that needs support and care. For prayer, we have GAP groups—Grandparents At Prayer groups that meet monthly. Grandparents come to receive prayer for the challenges they’re facing and to pray for their family in various ways. On the care side, we have a monthly Grandparents Connect meeting. Typically, not a huge number attend, but we find that the older grandparents get, the more hurts and challenges seem to surface. It is very helpful to have a place that a grandparent can go to get cared for, to share with others, and sometimes to get counsel on how to navigate a family situation. On the share side, we train grandparents to share their testimony using the story that God has given them, the ways that He’s worked through their life, as in Psalm 78. I’ve found that about only one in four grandparents have shared the gospel with their grandkids orally, so we train them in how to share the gospel and encourage them to look for those opportunities. We do that through ShareLife. Then we have what we call Core Truths. The Bible calls grandparents and parents to teach the core truths of Scripture, so we put devotionals and other resources in grandparents’ hands that they can use with their grandchildren. It might be a five- or ten-minute devotional, perhaps with some discussion questions. As grandchildren get older, they could study a book together. This effort equips grandparents pretty well to do what God is calling them to do. Pastors don’t need to create a massive, ongoing, weekly program to equip and encourage grandparents. So pastors don’t need to create a massive, ongoing, weekly program to equip and encourage grandparents. These simple things can be built into a small-group structure, or even a short Sunday school class. It’s pretty low-impact and yields a high return. For additional articles on ministering to senior adults, you might be interested in reading Ministering to Senior Adults by Dr. Dave Gallagher and 5 Ways to Address Seniors’ End-of-Life Concerns by Elyse Fitzpatrick. 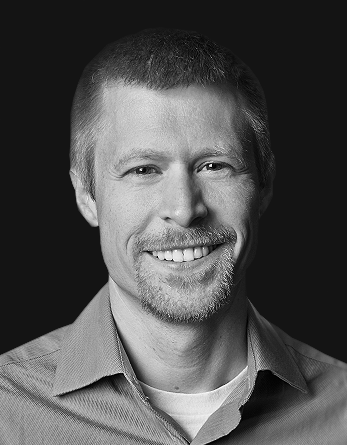 Dr. Josh Mulvihill is the executive director of church and family ministry at Renewanation, has served as a pastor for nearly twenty years, is a founding member of the Legacy Coalition, and has a PhD in family ministry from the Southern Baptist Theological Seminary. He is the author of Biblical Grandparenting, Rooted Kids curriculum, and Preparing Children for Marriage, and editor of Equipping Grandparents. Josh is married to Jen, and they have five children. Larry Fowler, “About the Legacy Coalition,” Legacy Coalition, https://legacycoalition.com/. Barna Group, “Teen Role Models: Who They Are, Why They Matter,” Barna: Update, January 31, 2011, https://www.barna.com/research/teen-role-models-who-they-are-why-they-matter/.